Many Californians enjoy bicycles as alternative means of transportation and for pleasure. 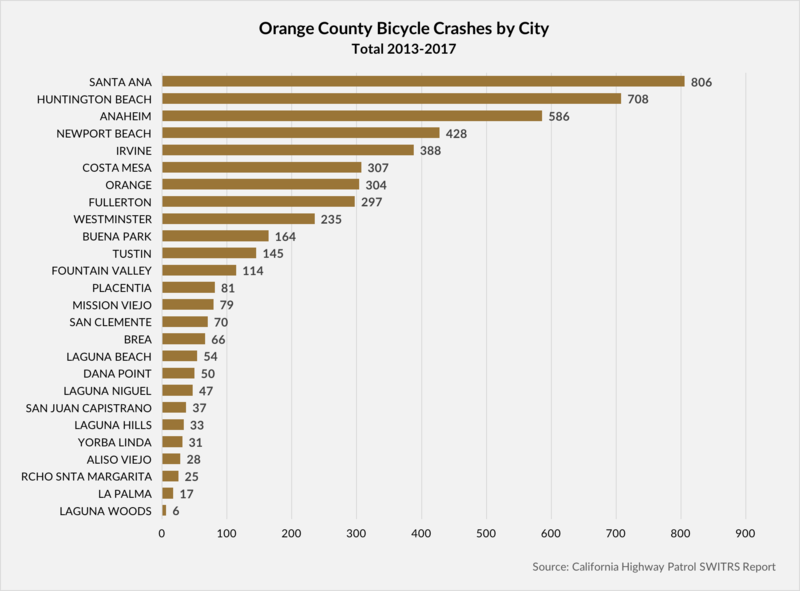 While bicycles can help cut down on pollution, it is essential for cyclists in the Orange County area to understand the risks of sharing the road with motor vehicles. In the event of an accident, the right Anaheim bicycle accident attorney can help injured plaintiffs recover their losses through a personal injury lawsuit against a negligent driver. However, it is also important for California cyclists to understand their legal obligations while riding. The Anaheim bicycle accident lawyers at Bentley & More, LLP have helped many clients in Irvine, Santa Ana, Anaheim and the Orange County area secure millions of dollars in compensation through personal injury claims and various other civil actions. It’s essential for California cyclists to know what to do after a bike accident. If you or a loved one have been injured in a bicycle accident in the Orange County area, our Anaheim bicycle accident lawyers can help you get the compensation you need to make a full and lasting recovery. Call our Irvine-based law firm today to set up a FREE initial consultation with one of our highly-respected attorneys. Our legal team well stop at nothing to make sure you are well-represented against any wrongdoer. California operates under a comparative negligence law, meaning that plaintiffs can still recover compensation even if they are partially at fault for their injury-causing incidents. California law requires all cyclists under the age of 18 to wear helmets while riding on any public roads. Additionally, cyclists on public roads must abide by all posted traffic signs and ride with the flow of traffic. If a cyclist fails to follow the traffic laws or rides irresponsibly, the court may decide he or she is partially at fault for the accident. The court will assign a partially liable plaintiff a fault percentage based on his or her contribution to the incident in question. The plaintiff then loses that percentage of the compensation. For example, if a court determines a plaintiff is 10% at fault for a $100,000 case, the plaintiff will only receive $90,000. Twenty-one states, including California, have passed helmet laws with regard to bike use. California has some of the strictest laws in the country regarding helmet use, requiring anyone 17 years or younger to use a bike helmet. While the law doesn’t require adults to wear a helmet, it’s always a good idea. Helmet use can drastically reduce the risk of a crash. The American Academy of Orthopedic Surgeons recommends that everyone wear helmets while riding because it can reduce the risk of serious or permanently disabling head injury. Helmet use may even play a role in determining liability in an accident. When choosing a helmet, look for one that is snug and level. The chin strap should fasten around your chin and the top of the helmet should remain flat against your head. Always replace your helmet after a crash or accident, as it may no longer protect your head properly. If you or a loved one sustained injuries in a bike accident, the damage could be quite severe. It’s not uncommon to suffer concussions, broken bones, and road rash following an accident. These injuries require intensive medical care with commensurate bills, as well as many days of missed work. A personal injury claim is the best way to obtain compensation for these and your non-economic losses. Following any accident, gather evidence at the scene itself, if possible. Get the contact and insurance information from the person who hit you, and take pictures of the accident scene, including damage to your bike, the vehicles, and your injuries. If the nature of your injuries prevents you from getting this information, request it from the police report as soon as possible. No matter what, avoid admitting fault to the accident, even if you think you were partially responsible. Though the rules of polite society might suggest that an apology might be appropriate, even something this simple could be tantamount to admitting fault. Limit your interaction with the other party to the exchange of insurance or contact information. Since bike accidents often lead to serious injuries, getting appropriate medical treatment as soon as possible is essential. This also creates official documentation of your injuries in a medical record. At this point, it’s important to get all the appropriate testing and treatment to get you on the road to recovery. Never try to negotiate with insurance companies yourself or sign any paperwork from them before consulting with an attorney. Insurers may try to settle for less than what your case is worth or use other tactics to deny a claim altogether. Having an attorney by your side is the best way to avoid legal pitfalls or a possible lowball settlement. Determining liability in a bike accident is a matter of complex state and traffic law. Generally, bikers and motorists in California have an obligation to “share the road.” This means they are both beholden to the rules of the road and must follow established traffic rules. Motorists owe a duty of care to bicyclists on the road, and if a driver hit you, he or she is likely at fault. Factors such as distracted driving, speeding, impaired driving, and failing to yield the right of way often play a role in bike accidents. 1. Bicycles Are Vehicles. Most drivers are surprised to learn that the law consider bicycles as vehicles. As a result, they must ride in the same direction as traffic and obey all traffic signals. Motorists must look carefully for bicyclists when turning right or left, respect their right of way, and safely share the road with them. 2. Bicyclists Follow Traffic Right of Way. One of the most common places for bike accidents is at intersections, chiefly because drivers do not understand the right of way. Bicyclists riding with traffic get the same right of way as cars do. When a cyclist is going through a green light, for example, the passing motorist must wait before they can turn. Similarly, when a motorist is turning left, then he must wait for the oncoming bike to pass before making a turn. Sometimes, accidents occur because motorists assume that they have plenty of time to make the turn. However, bikes can move at speeds of 15-20 miles per hour and motorists may not have as much time as they perceive. 3. Bicyclists Need Plenty of Clearance. More than 20 states, including California, have passed laws that require motorists to give bicyclists at least 3 feet of space between their vehicle and the bike. Failure to give this berth could not only lead to an accident, but make the motorists responsible for any injuries and property damage that result. When passing a cyclist, it’s also important for a motorist to drive slowly and smoothly. It’s tempting to speed up and pass, but this tends to be unnerving for the cyclist and could be more dangerous. 4. Bicyclists Live in Fear of Being “Doored”. Basic rules of the right of way also apply to parking in town. Bicyclists are vulnerable to being “doored,” or hit by a car door that opens into traffic. Since bicyclists hug the right side of the road, they’re more prone to this type of injury. Drivers must look through their side view mirrors and determine that it’s safe to exit before leaving their vehicles – hitting a cyclist with their door could not only cause an injury, but make the driver liable for the injuries that result. 5. Drivers Must Be Alert at All Times. One of the most common things attorneys hear from at-fault drivers who hit cyclists is “I never saw him/her.” Drivers know to look for other cars and obey the rules of the road in their regard, but recognizing bikes requires a more conscious effort. Distracted or careless driving can be deadly to more than just other motorists – it poses a serious hazard to bicyclists and pedestrians. Accidents involving bikes are serious and often deadly because motorists do not fully understand the rules of the road. Observing these simple tips can help drivers understand their responsibility to bicyclists, but unfortunately, not everyone follows them, leading to an increased possibility for injury. Broken bones. Bone fractures are painful wounds that can sometimes lead to other serious medical conditions. A compound bone fracture is an open wound that may become infected. Even small fractures can set incorrectly, leading to poor mobility and other problems later on. Brain injuries. A traumatic brain injury can sometimes leave victims in unresponsive states or cause permanent damage. A head injury can also damage the victim’s ability to process sensory information and may cause issues with memory and speech capabilities. Spinal injuries. The spinal cord cannot heal itself, so any injuries are permanent. The spinal cord carries signals between the brain and the rest of the body, so an injury on the spine can lead to permanent loss of limb functions and other severe disabilities. Victims of bicycle accidents can sue at-fault drivers for their medical expenses related to treating these and any other injuries sustained in an accident. After receiving medical attention, an injured cyclist’s first priority should be to connect with a reliable bicycle accident attorney. Injured cyclists who suffer injuries and other damages in bicycle accidents in Irvine, Anaheim, or Santa Ana can reach out to the Anaheim bicycle accident lawyers at Bentley & More, LLP for legal representation. We have extensive experience handling complex litigation in a variety of practice areas and help clients in Santa Ana, Irvine, Anaheim, and the surrounding areas of Orange County. Contact us today to schedule a consultation about your bicycle accident case.